* Measure your dog’s neck or collar size and trim the ribbon accordingly. * Make sure it isn’t too small. You want to ensure that Fluffy is extra comfortable on the big day! 1. 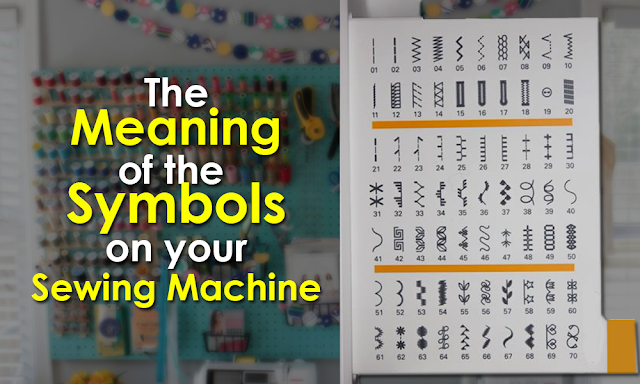 Cut your fabric to approximately 4×9 inches. This is a pretty standard size for the bow-tie, but if you are making this for, let's say a Great Dane, I’d beef up the size. 2. 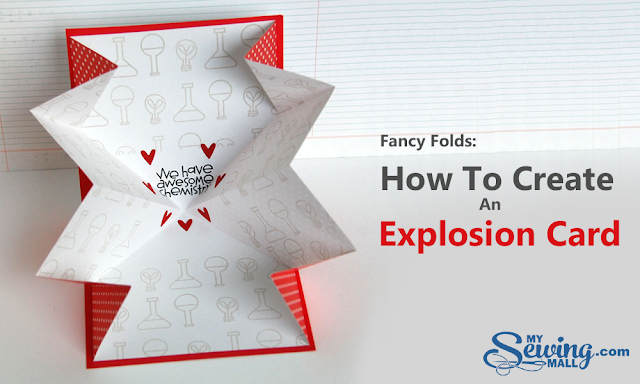 Fold in the top and bottom sides and overlap them slightly. 3. Fold in the left and right sides. You can choose how much you want to overlap based on the desired size of your bow-tie. 4. 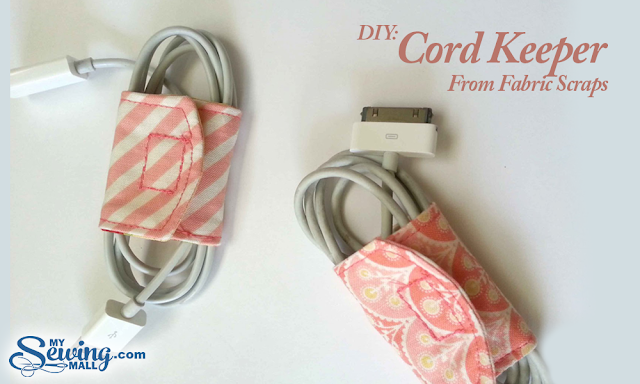 Cut a skinny strip of fabric approximately 2×5 inches or longer. It just needs to be long enough to tie (this will be trimmed toward the end). 5. Pinch the center of the folded ribbon with your fingers to get a nice bow shape. 6. 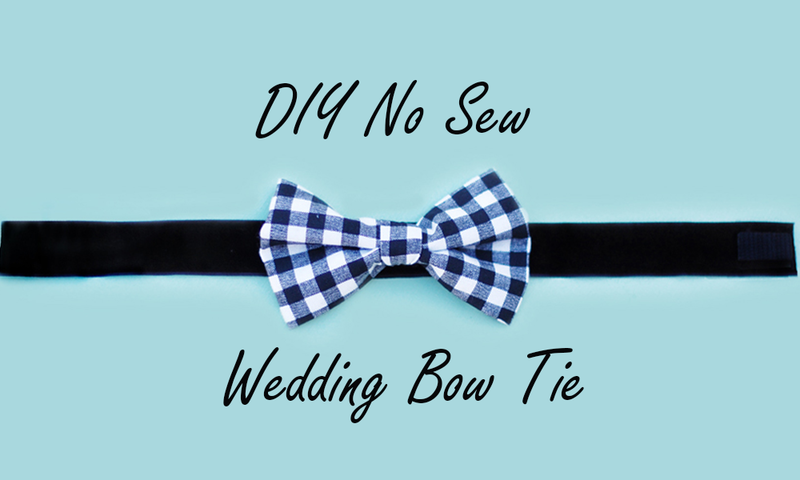 Use your skinny piece of fabric to tie around the center of the bow. Make sure the knot is tight and secure. If you feel unsure, you can always add a dot of hot glue. Trim the excess fabric. 7. Grab you pre-trimmed ribbon and your velcro squares, we’re almost done! Add a velcro square (the one with the scratchy side) to the center and to the far right end of the ribbon. On the left end of the ribbon add a fuzzy velcro square to the back side. Using another fuzzy velcro square, add one to the back of the bow. 8. Stick the bow to the center of the ribbon. Attach the ends together and you have a stunning bow-tie that will make your dog feel stylish and ready to party! 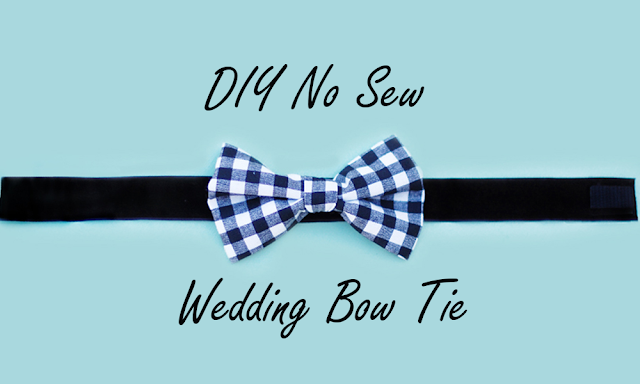 Have fun and enjoy creating these bow-ties, sans needle and thread! And no worries if you aren’t a bride-to-be, this DIY is perfect for any festive occasion, or if your pup just wants to look fancy on a Wednesday. * Please note that these are intended as a fun accessory and are not recommended to be used with a leash as a collar replacement. If you are wanting a durable bow-tie collar check out the Apparel & Accessories section of our Shopping Guides!